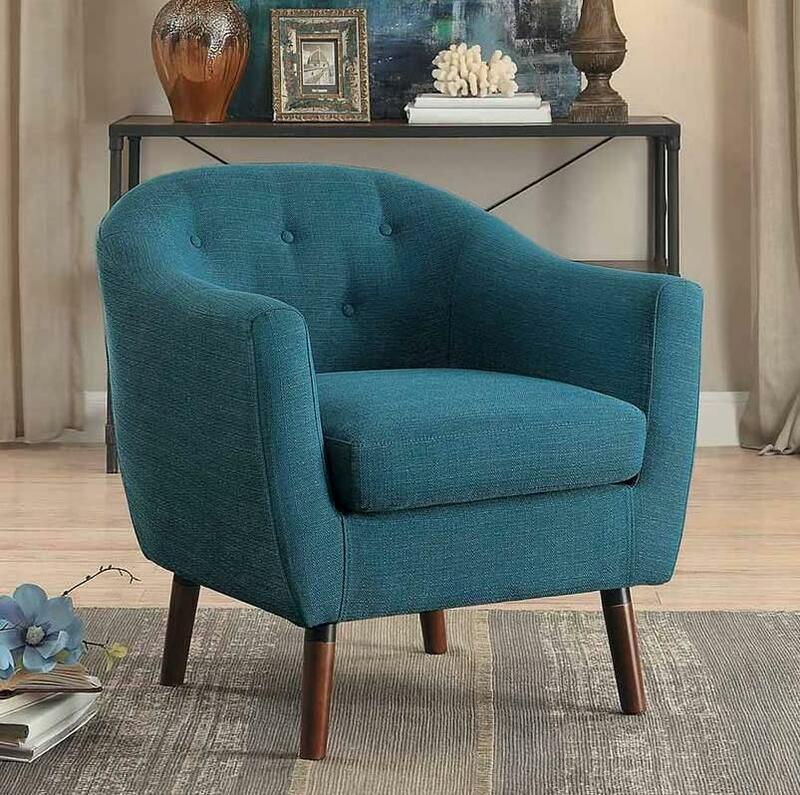 Retro lines need not stay in the past with the mid-century inspired lines of the Lucille Collection. 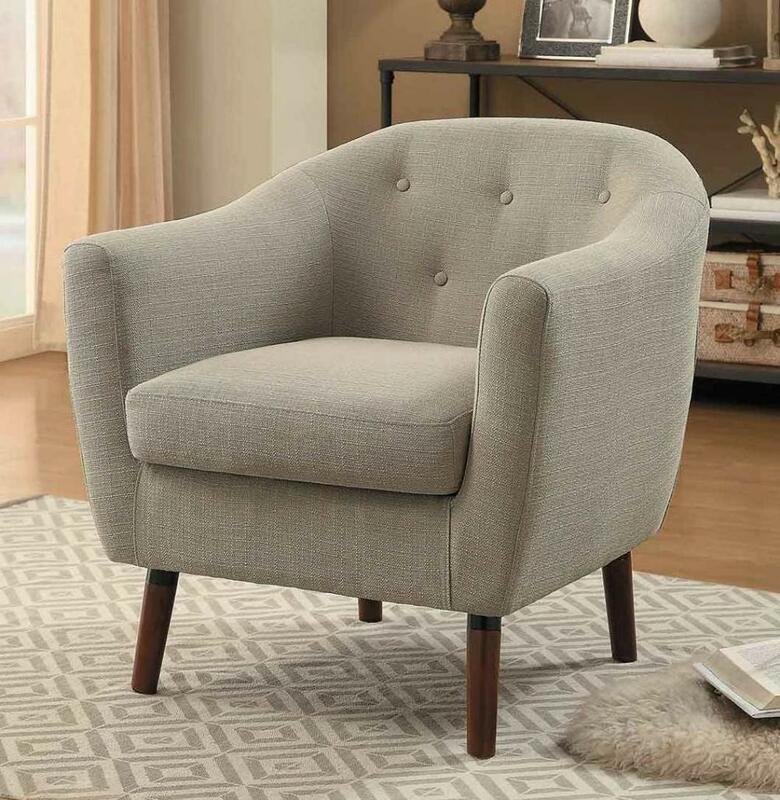 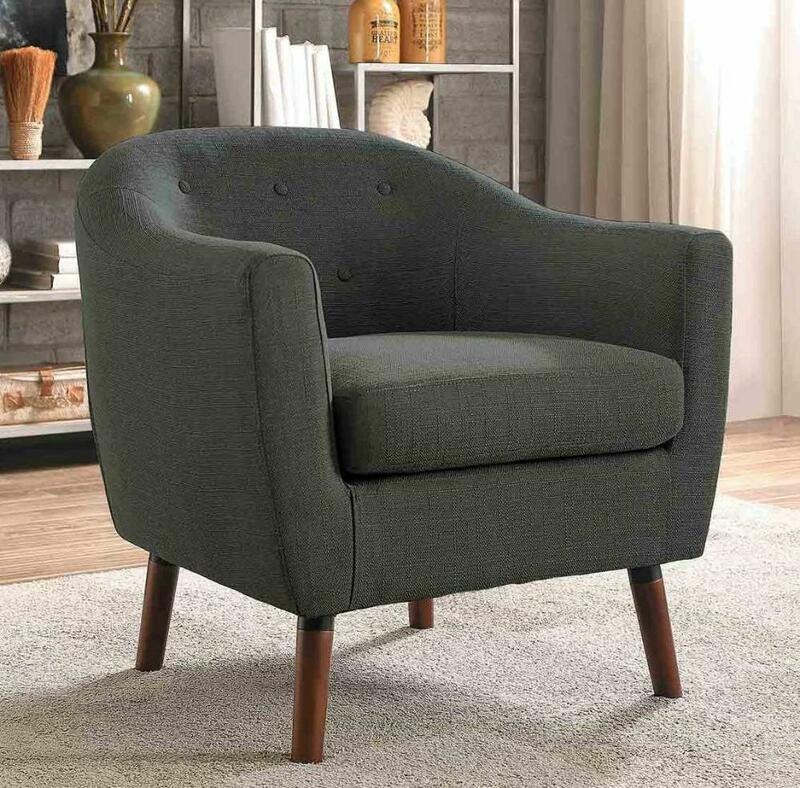 With fabric offerings that range from neutral to bold such as beige, gray, blue, and orange further complemented with button-tufted accenting and stylishly appointed legs, this classic accent chair will provide a look that shows your personal style. 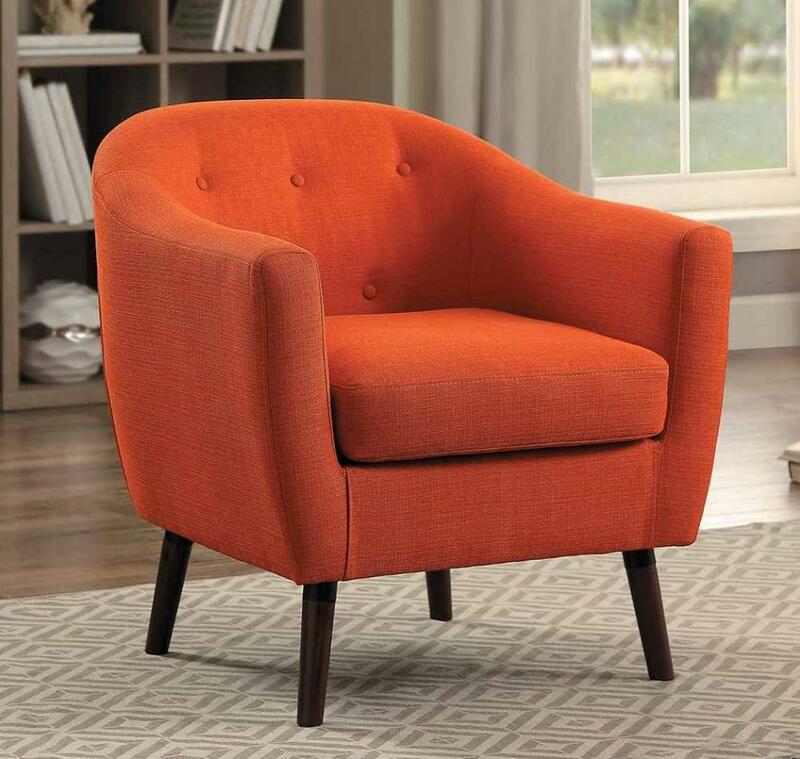 FEATURES: Beige / Blue / Gray / Orange Color ~ Modern / Contemporary / Classic Style ~ Fabric Cover ~ Button Tufting Accents ~ Tall Wood Legs Legs.